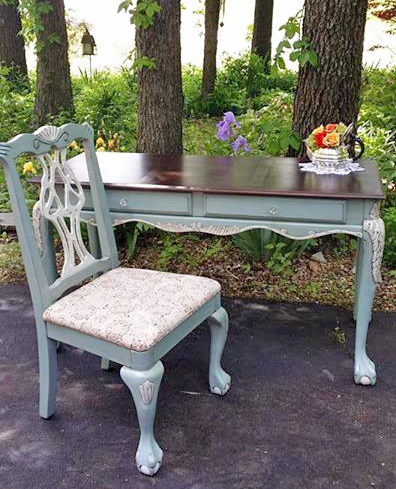 Paula Grider created this absolutely lovely desk and chair with General Finishes products. The desk top was stained with Java Gel Stain. The desk and chair are painted with GF Persian Blue Milk Paint and the details are accentuated with Antique White Milk Paint and Van Dyke Brown Glaze Effects. Beautiful work Paula!